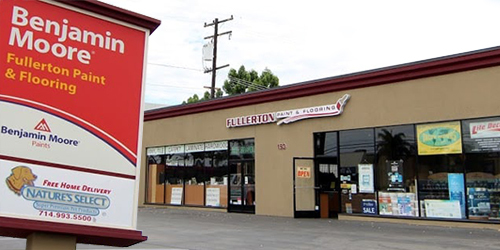 As an independently owned Devoe Coatings Dealer in Anaheim, Fullerton Paint & Flooring is the best source for Devoe High Performance Coatings in Orange County. Devoe is one of International Paint's most well-known brands for industrial, manufacturing, and commercial uses. Devoe's polyurethanes, epoxies, and linings provide proven corrosion protection for metal and other rust-prone surfaces. International Paint offers a wide array of protective coating for application in wastewater treatment, mining, oil & gas pipelines, tanking linings, OEM and SCAQMD-compliant requirements. Devoe High Performance Coatings offers solutions for every coating application with its extensive product line. We carry everything from Bar-Rust multi-purpose epoxy coating to Pre-Prime penetrating epoxy sealer. Call ahead to place an order for pick up or delivery, or come in and talk to a member of our customer service team who can help you find the right Devoe product for your needs.